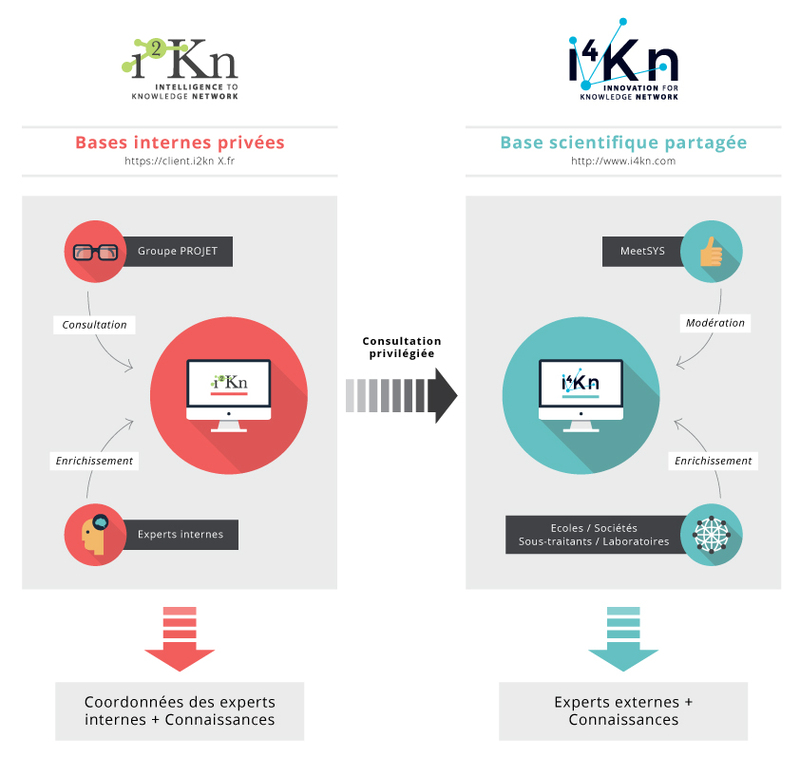 The i2Kn approach is based on a method of collection and modeling of expertise combined with a collaborative software, making possible the capitalization, enrichment and sharing of knowledge. i2Kn allows for the creation of files dedicated to the knowledge you need and to the administrative documents you use, just as you would with a word processing program. The specific intelligence of i2Kn is that it connects pages automatically via hyperlinks, forming a network of neurons. Through a system of aliases even more powerful than simple key words, contributors organize links and automatic references to information directly linked to the subject at hand. The software’s ergonomics require strictly no previous IT skills – it is accessible to all. i2Kn represents forms of reasoning through reading pathways with knowledge files. In addition, each file is connected to a network on experts on the subject in question. As such, the experts are organized not by their positions, job titles or CV, but rather by their specific knowledge and expertise. Experts are then capable of conceiving of various complex scenarios through which the situation is analyzed. Faced with an apparently unsolvable problem, the expert will re-arrange his or her knowledge in order to build new pathways. i2Kn represents these new pathways. I2Kn can record the thought and reasoning of experts, that is to say, it links up the pathways leading to partial or total solutions, creating a veritable Knowledge Network. All of the experts are thus linked via their knowledge, and you can identify those who have already been faced with challenges or questions resembling your own. The experts chosen will therefore be more apt to help you in your quest for a solution. Our database is structured along the same lines as your experts’ logical reasoning and thought. The scientific experts at MeetSYS will guide you along the way as you build your knowledge base. They will interview your specialists in order to create maps and recordings of your reasoning, experience and knowledge. This knowledge, and its connections to a community of experts, are shared using pathways that will lead from a problem to its solutions. This sharing process takes place within a collaborative software. i2Kn is the result of nearly 15 years of experience working with R&D and production teams in industrial firms which are constantly faced with the same kinds of questions: where can I go to find help in resolving this problem? Where can I find the information I need? Does my firm have the relevant experience on this subject? And where can I find a qualified external expert? In the industrial sector, iK2n helps to assemble knowledge-sharing teams of scientists and technicians from departments such as R&D, Production, Quality and security, and Product support, who use the platform collectively. Our contact people are management staff in Research, industrial and technical departments, but we also work with Human Resources and Marketing managers. I2Kn is designed for large firms, which may thus share knowledge across the countries where they are present, and small- and medium-sized companies, which add value to their knowledge. For communities, i2Kn is meant for associations, professional federations, public entities and groups of people with common interests wishing to create a community dedicated to that shared interest or activity. 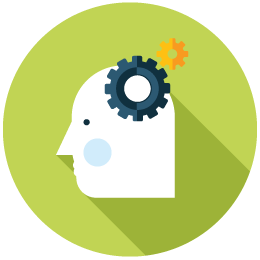 i2Kn is software that builds knowledge bases specifically designed for your company (reasoning). For uses dedicated to capitalization, our clients’ bases are enriched by the public MeetSYS knowledge base, i4Kn. In addition to providing direct physical connections, i4Kn also gives access to an open innovation network linking experts, firm and laboratories with shared technical and scientific knowledge used for functional purposes. Concretely speaking, once your private base of knowledge (i2Kn) created, dynamic links will lead to MeetSYS’s public scientific base, i4Kn. This base will give you access to a network of scientific experts from a variety of backgrounds capable of answering your questions and providing support in problem-solving. I4Kn also makes it possible to identify physical effects or concrete cases, which are sources of innovation and contribute to saving time and resources. i2Kn (Intelligence to Knowledge network) is an innovative method that produces the living memory of your company or community of experts through the collection and assembly of experience and knowledge of its members. This method is put together with an intuitive, collaborative software dedicated to the capitalization of knowledge and reasoning, forming i2Kn. I2Kn is a software published by MeetSYS.